To provide a framework for children and youth from the social and geographic periphery that will allow them to develop and realize their personal potential, so that they will grow up to be independent, educated and proud citizens who are responsible for themselves and for society. Negba strives to bridge the gaps between children from low socio-economic backgrounds and others in order to provide them with the tools that will enable them to advance their lives and maximize their abilities. Emotional empowerment through professional staff guidance and age-appropriate workshops. Educational enrichment and reinforcement through remedial instruction and Learning Centers. Social empowerment through informal social and voluntary activities, field trips and camps. A structured arts and culture enrichment program (theater, music, film making, nature outings, etc.) to expose new areas to foster a curiosity to explore new worlds. Strengthening child relationships with their parents and siblings through joint family activities and parents workshops. After-School Homes for children in grades 1-6 in Beersheva and Jerusalem. Teen Club in Beersheva for youth in grades 7-12. “Bogrim” Middle School Transition Project in Jerusalem for youth in grades 6-8. We employ a multi-disciplinary professional team of social workers, coordinators, counselors, national service volunteers and general volunteers. We provide a supportive and enriching environment for children and youth to strengthen their resilience and motivation, enabling them to achieve equal opportunities. We utilize innovative academic achievement methods that integrate Learning Centers with informal education, while taking into account the individual, the group, and society as a whole. We design customized pedagogic tools for each Negba child. We build a personal progress plan for each Negba child, adapting each plan as necessary based on the assessments following each of our periodic evaluations. We provide a response to the needs of the entire family unit by maintaining close contact with Negba parents and by offering them targeted periodic programming. We conduct ongoing staff training, supervision and in-service seminars. We plan and implement all activities in close cooperation with municipal, social services and education authorities. Negba was founded by Claude Meyer, Claude Kadouch and Jean Bisseliches, three immigrants from France, in cooperation with the French Les Cigognes organization, which has been serving children at-risk in France for more than a century. Their vision was to establish after-school frameworks for Israeli children with a novel approach combining education and social care over the long-term in order to make a lasting impact on the children’s lives. Negba was officially established in 2006, and that same year the first Negba After-School Home opened in Beersheva. Just two years later, there were three After-School Homes in Beersheva’s Dalet neighborhood. Each Home possessed two groups divided by age group to better work with the children. In the years in which the city of Sderot was shelled by Qassam rockets, Negba operated a fourth After-School Home there to provide a safe environment for more children. In 2011, Negba expanded its activity to Jerusalem, launching a unique After-School Home which operates on the premises of the Reshit School and in full cooperation with the school staff. When the children graduated from grade 6 and from Negba’s After-School Homes, it became clear to Negba’s leadership that a continuing framework was necessary. In 2013 Negba inaugurated its Beersheva Teen Club to provide academic and social programming for Negba’s after-school graduates from grade 7 through grade 12. 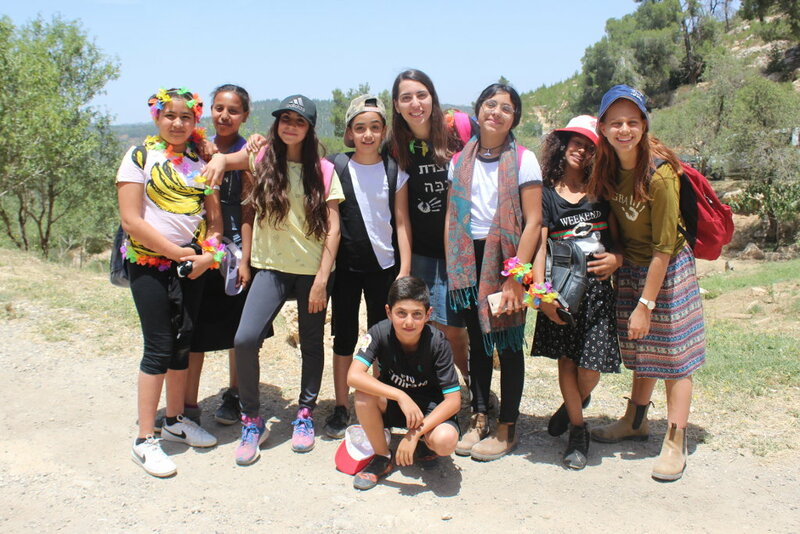 In the Spring of 2017, Negba launched the pilot “Bogrim” Middle School Transition Project in Jerusalem for youth in grades 6-8, in cooperation with the Jerusalem Education Authority. The first of its kind in Jerusalem, the project accompanies young teens through the move from elementary school to middle school, preparing them for the many physiological, social, academic and emotional changes they will confront in a period which they are at extremely high risk of dropping out of school. In October 2018 the newly constructed “Negba House” in Beersheva’s Dalet neighborhood will open its doors. Designed to provide a warm and respectful environment for Negba’s children and teens, the building will also serve as a hub of activity for the greater community. At the onset of the 2018-2019 school year, twelve years after its establishment, Negba continues to successfully operate 11 moadoniot (club groups) for elementary school children in Beersheva and Jerusalem, 3 groups for pre-teens in the “Bogrim” Middle School Transition Project, and 3 groups in the Beersheva Teen Club. The parents of Negba’s children continue as active partners in our joint caring for their children. Negba’s Hebrew website, a rich educational resource containing work pages developed by Negba’s educational team, serves thousands of educators and instructors across Israel.